Jasper County was created in 1836, by an act of the Missouri Legislature, and was named in honor of Sergeant William Jasper, a hero in the American Revolutionary War. A temporary seat of justice was established, Thursday, February 25, 1841 in the home of George Hornback, a log cabin, 12 x 16 feet, one and a half miles northwest of Carthage on Spring River. Samuel M. Coolley, Jeremiah Cravens and Samuel B. Bright were the first justices of the Jasper County Court. The first county road commissioners ordered a road built in 1841 "commencing at the township line South of John Pennington's and ending due South of William Babb's Mill". Each male white person was required to work on the public roads at least two days each year or pay 50 cents. During the Civil War Carthage with a population of 500 was destroyed. The city has been rebuilt since 1866. County records were moved to Neosho, Missouri and later to Fort Scott, Kansas for safe keeping until after the war. The corner stone of the present Court House was laid in August 1894. The building was completed in 1895, at a cost of $100,000; $50,000 of which was paid by the city of Carthage and the balance by Jasper County. This magnificent structure remains in use today. To read more about the rich history of Jasper County, just click here. Do You have Any Jasper County Information? 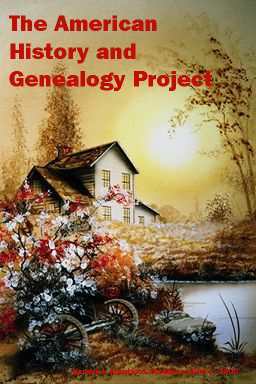 Do you have any information on Jasper County families, or the history of Jasper County, or any family stories passed down, that you would like to share with other researchers or readers? If so, please send me the information and I will include it in this County Page.